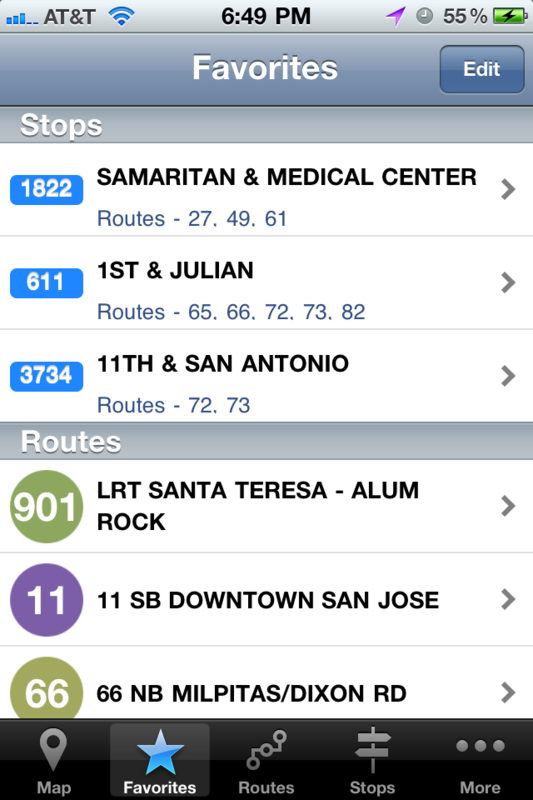 San Jose Transit is a handy application for Santa Clara Valley Transportation Authority(VTA) shcedule information. It lets you browse through stop timings and trips offline without any active internet connection. Updates to the schedules will now be available from within app. No painful app updates now. Requirements: Compatible with iPhone, iPod touch and iPad. Requires iOS 6.0 or later. 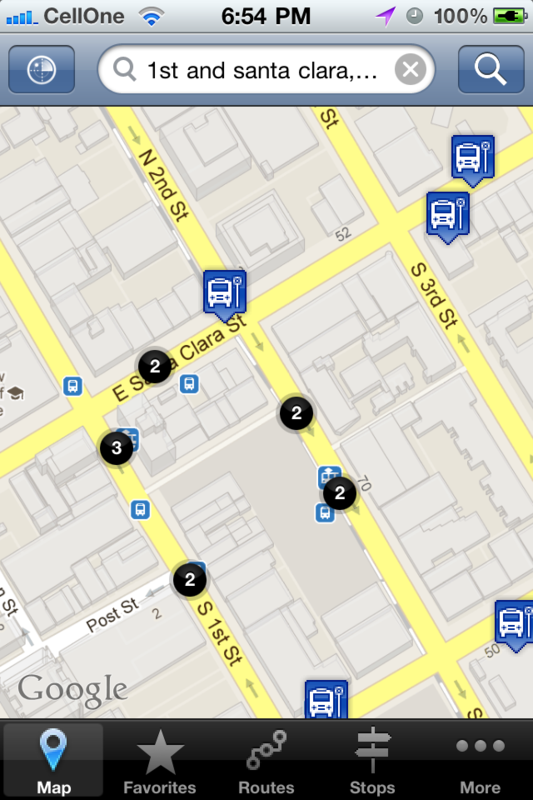 View all stops on a map and search through them by address. Get a list of routes and browse through them trip wise. 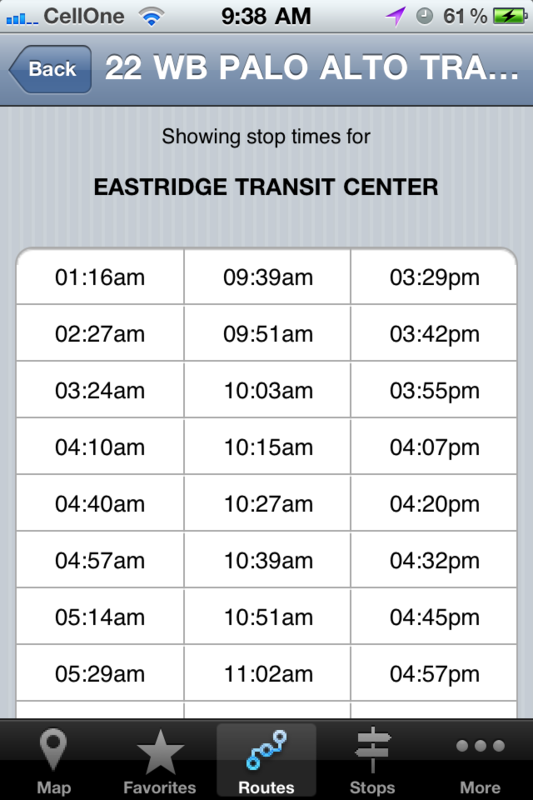 See timings for a route trip wise with interpolated stop times. 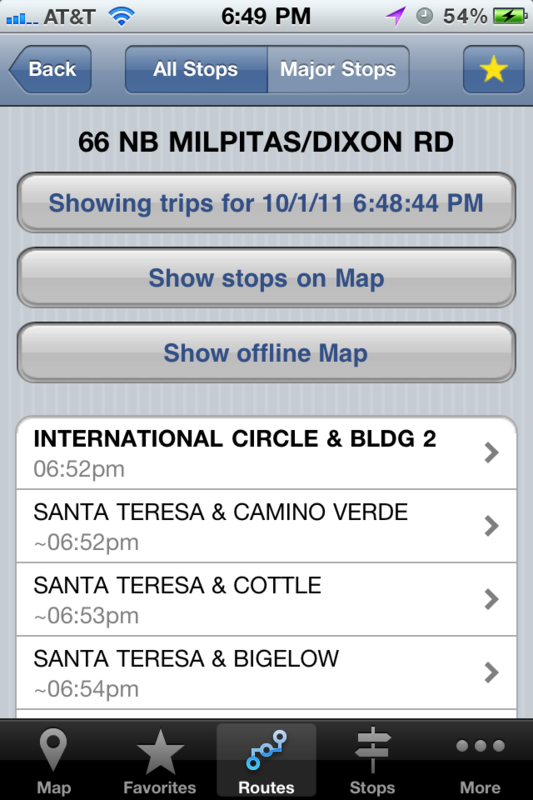 I must say that this app is extremely helpful for bus operators themselves! We have all routes centrally located with just touch of a finger away! 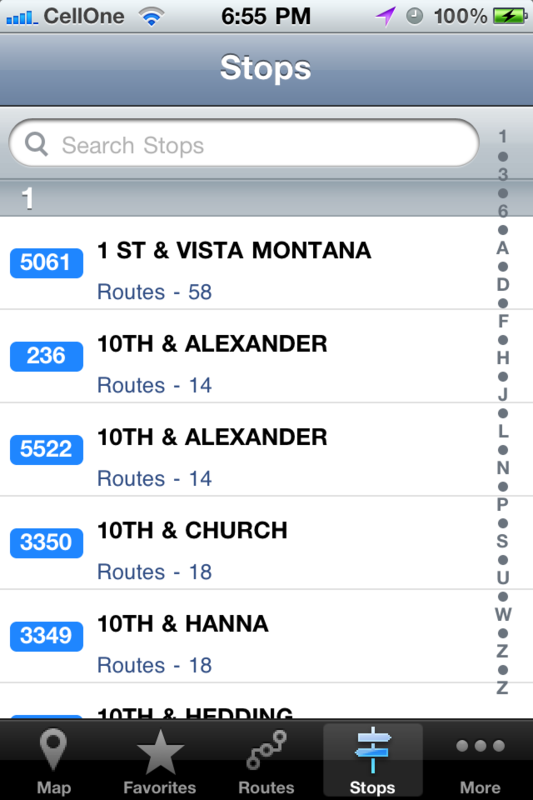 I use VTA every day, so an offline reference that I can have in the palm of my hand is a nice tool, and i saves me having to pick up the paper schedules. I use this often to determine a bus route to use. 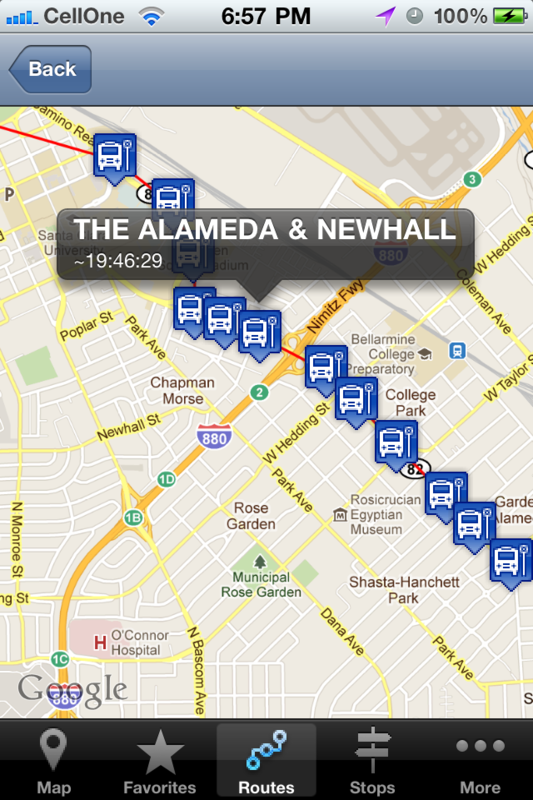 I can't wait until VTA will push gps coordinates so that you know the exact location of the bus. For many reasons, we ride VTA. All the little paper schedules were tough to manage and harder to read, but this app makes it all easier and I enjoy taking the bus more now. You will love this app! Is the application updated regularly? Yes. 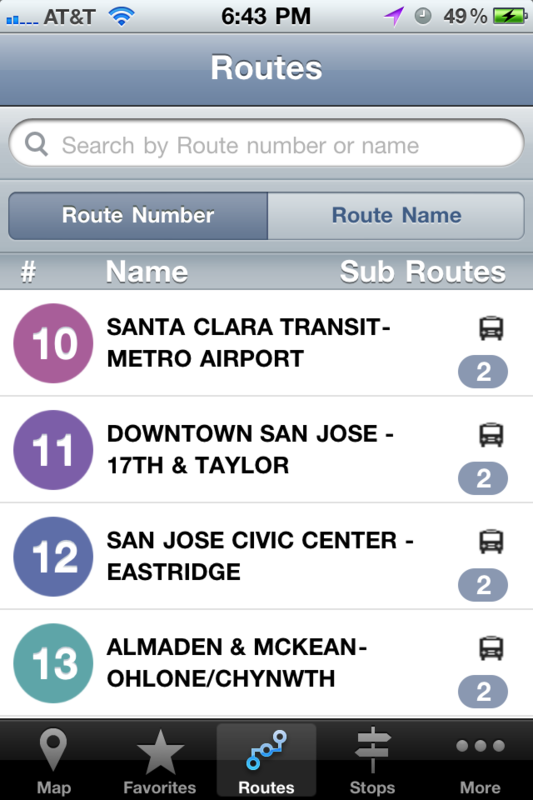 This application is updated whenever VTA changes its schedules. 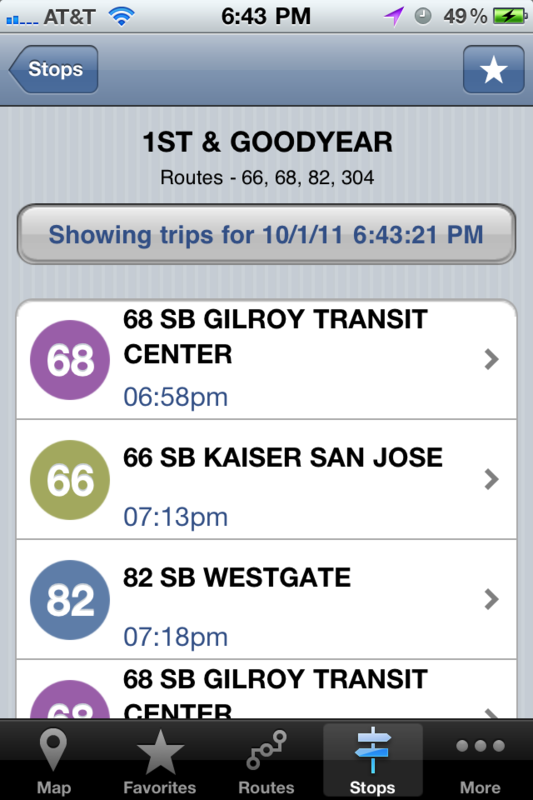 The update is usually released within +/- 2 days of VTA schedule change. Is there a free version of this app? Do I need to be connected to be able to view the schedules? No. Absolutely not. Schedules are completely offline! Major update with lots of improvements. Updated schedules with July 11th changes. For any query related to application or to provide any feedback please dont hesitate to shoot us a mail. Copyright © 2011 Vashishtha Jogi. All Rights Reserved.